There are times when you might want to control what data the user can enter to a cell. For example , you want the user to enter only a numeric value that is greater than 75. 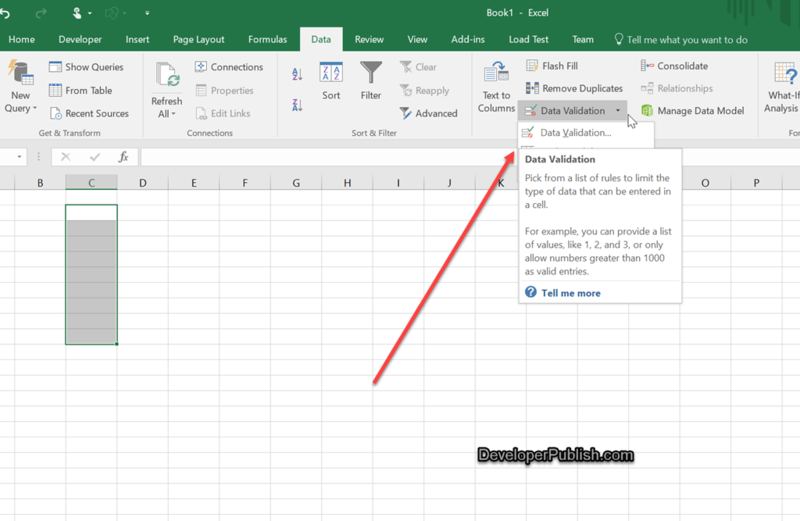 You can do this easily in Excel using the Data Validation. 1. 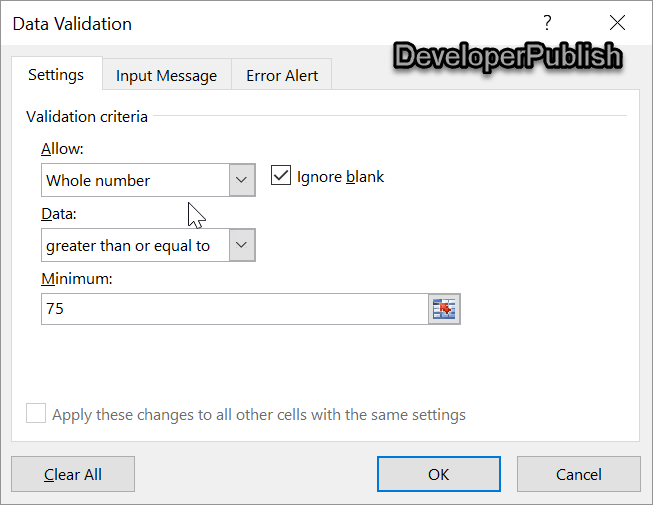 Open your workbook in Microsoft Excel and select the range of cells that you want to limit to the numeric value greater than 75. 3. In the Data Validation dialog , select the “Settings” tab and then select the following and then click OK button. “Whole number” in the “Allow” drop-down list. “greater than or equal to” from the Data drop-down list. Enter the value 75 from the Minimum value. 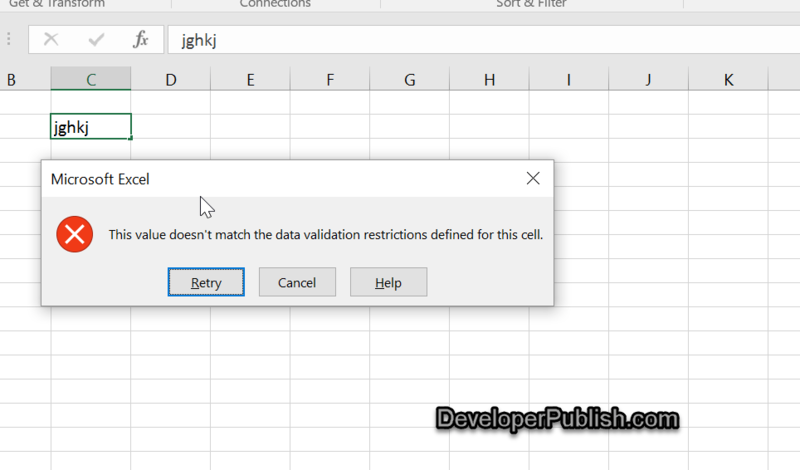 Now , try entering invalid values in the selected columns , you should see a error message displayed to the user stating “This value doesn’t match the data validation restrictions defined for this cell”.